The team has already overcome extreme conditions and complications. 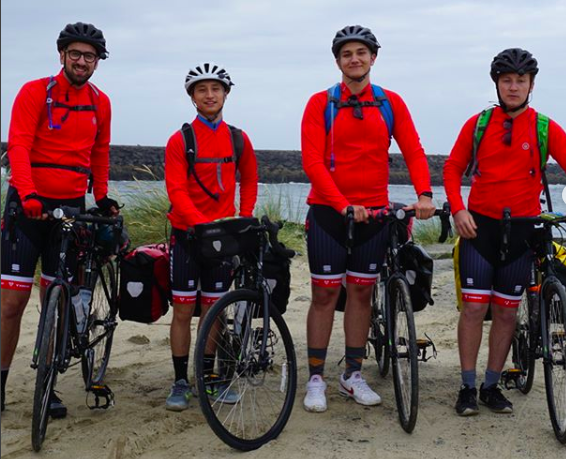 They’ve been badly sunburned, tortured by mosquitos (up to 60 bites each), and they endured a 20-mile ride through a brutal rainstorm. In early July, the team found themselves in the middle of nowhere on a 50-mile stretch without water and battling heat exhaustion. On many nights, they’ve been forced to camp on the side of the road in tents they carry on their backs. Earlier this month, Garrett was forced to drop out of the ride due to exhaustion, and he will be replaced by Justin Rodriguez (21) on July 14th.